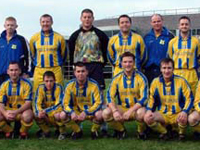 Carrigtwohill United AFC, Junior Soccer Club competing in Cork AUL & Cork Schoolboys Leagues - Archive. 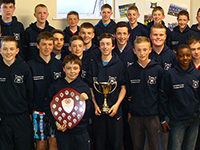 The U-15 won the division 4 league title and the U-14 won the division 5 league title. just outside promotion places in 4th. A good year for the club, both on and off the field. and new online club shop. and a great season for the Division 1 team. 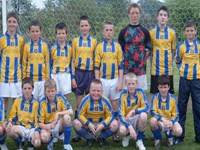 The Under 12 won the division 5 league title. and won promotion to the Premier division. managed by Davy Barry, Declan Horgan and Noel Gubbins. 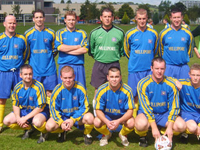 Martin Jones and Paul Nolan were again running the AUL Div 1 team. Schoolboy teams at Under-16 and Under-11 were also competing. Another very good year for the club both on and off the field. became the first side to retain the St. Michael' Cup. A huge year for the club both on and off the field. 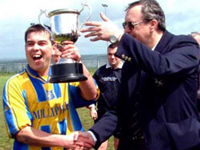 by winning the St Michael's Cup. 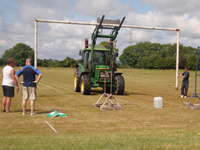 and began development of 3 pitches and a clubhouse. Only the U-12's doing themselves justice, with a second place finish and promtion. 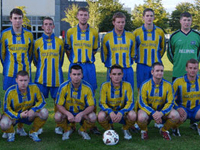 challenge for the AUL 1B title and a first season for a 2nd adult team in AUL 3B managed by Brian Nolan. 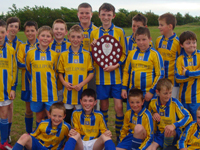 Both schoolboys teams at Under-11 and Under-12's won promotion. but the side could not mount a challenge at the top of the table. 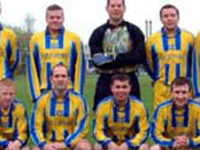 Our first year in Div 1B was a learning one as we finished mid-table. 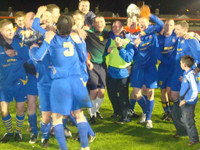 A decent cup run (1/4 final of County Cup) was a highlight. This was to be John McCann's last year in charge. Davy Barry captained the side this season again. 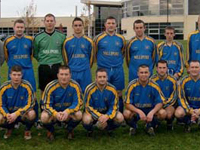 but Carrig finished second to win promotion to Div 1B. 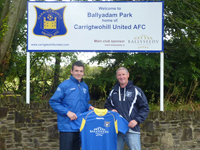 with Davy Barry wearing the captain's armband. after both teams finished with 48pts (16 wins, & 2 defeats).